That is rather a lot of wood, all to remove “hoodoo” from their football team. 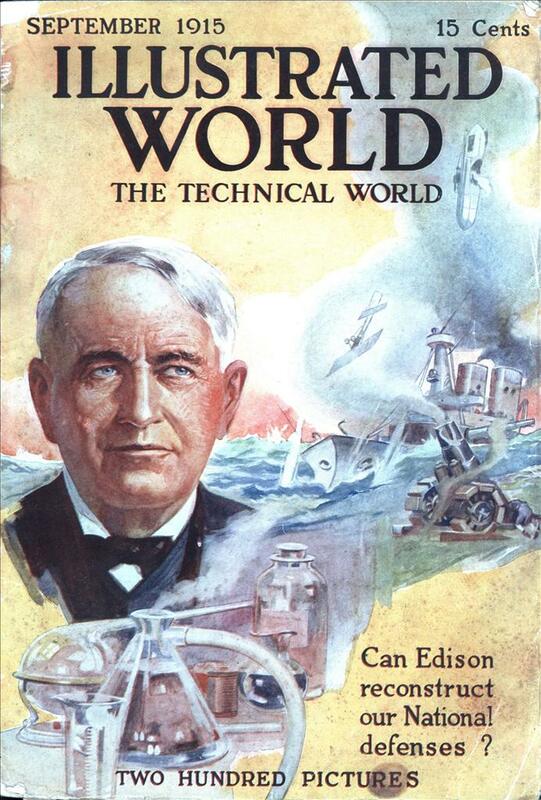 Apparently it didn’t work, Charlie. Looking in Stanford’s archives, in 1915 they weren’t national or conference champions and they didn’t go to the Rose Bowl until 1925. They lost to Notre Dame 27-10. 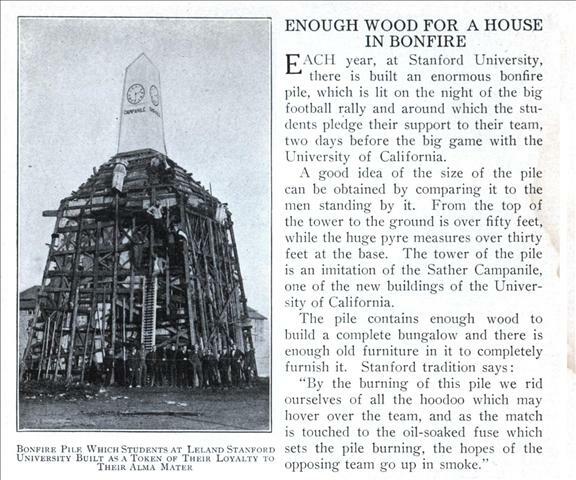 EACH year, at Stanford University, there is built an enormous bonfire pile, which is lit on the night of the big football rally and around which the students pledge their support to their team, two days before the big game with the University of California. A good idea of the size of the pile can be obtained by comparing it to the men standing by it. From the top of the tower to the ground is over fifty feet, while the huge pyre measures over thirty feet at the base. The tower of the pile is an imitation of the Sather Campanile, one of the new buildings of the University of California.